BLOOMINGTON – Ivy Tech Community College’s Bloomington campus invites prospective students and parents to “Go Ivy Day,” an open house, on Thursday, November 10, from 5:30 – 7:00 p.m. at Ivy Tech, located at 200 Daniels Way. Faculty representatives will be available to answer questions about all Ivy Tech fields of study: Applied Science and Engineering Technology, Business, Computing and Informatics, Education, Fine Arts and Design, Health Sciences, Liberal Arts and Sciences, Nursing, Public and Social Services, and Technology. Ivy Tech will also provide general college information, campus tours, information about financial aid and scholarships, and information for high school and middle school students and parents. Representatives will be available to answer questions about Ivy Tech Bloomington’s two new areas of study: therapeutic massage and optometric technology. Both programs are limited in the number of students who can be enrolled each semester, so interested students should enroll as soon as possible. For more information about the optometric technology associate degree visit www.ivytech.edu/optometric-tech. For more information about the therapeutic massage certificate visit www.ivytech.edu/therapeutic-massage. Ivy Tech spring classes begin January 17 but students should enroll by January 9 in order to be prepared on the first day of classes. To enroll, visit www.ivytech.edu/applynow, stop into Ivy Tech Bloomington located at 200 Daniels Way, or call (812) 330-6013. 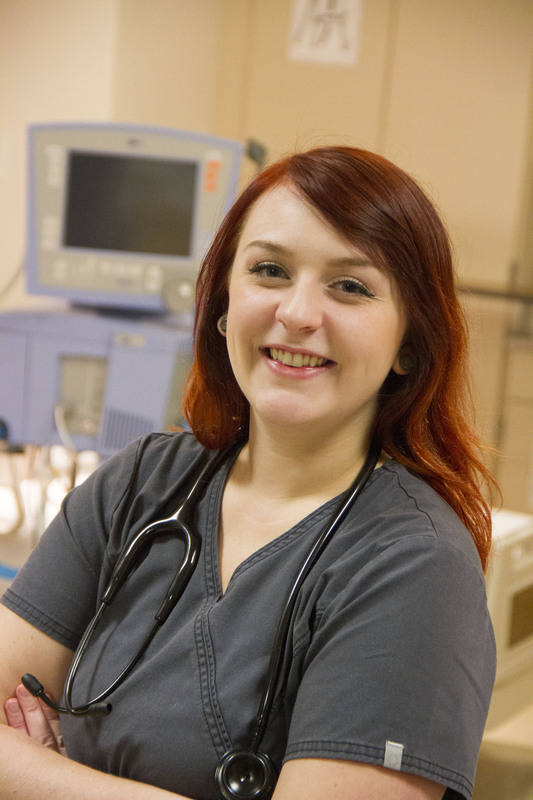 Ivy Tech is open Monday through Thursday, 8 a.m. to 6 p.m. and Friday, 9 a.m. to 5 p.m.
BLOOMINGTON – Vanessa Van Vlymen, graduate of Ivy Tech Bloomington, is now a registered respiratory therapist (RRT) and works full-time at St. Francis in Indianapolis, so she can remain close to family in Indiana. Van Vlymen completed clinical hours at seven different hospitals before graduating from Ivy Tech. Van Vlymen says Ivy Tech’s clinical requirement allowed her to make important connections. She completed clinical hours at Columbus Regional Health, Daviess Community Hospital, Eskenazi Health, Franciscan Health, IU Health, Terre Haute Regional Hospital and Union Hospital Terre Haute. “Being in the program has helped me to establish professional connections with many of the clinical sites that I have visited, which will help me in the long run in achieving my goals,” she said. Van Vlymen says she took a career assessment in high school and realized she wanted to be a respiratory therapist. After high school, she started college at Indiana University Bloomington. However, Respiratory Therapy was not offered at IU’s Bloomington campus. “I knew that I wanted to do Respiratory Therapy but my only other choice would be to move to Indy and get into their program,” said Van Vlymen, who discovered Ivy Tech’s Respiratory Therapy program by researching online. “I knew the Bloomington Ivy Tech was well-rated, so I transferred from IU Bloomington because I had already become attached to Bloomington and did not want to leave the town,” she said. While she was a student, Van Vlymen was awarded the Robert E. Glass Memorial Scholarship from the Indiana Society for Respiratory Care, for receiving the highest scores on her physician-reviewed essay. For more information about Ivy Tech’s Respiratory Therapy degree visit ivytech.edu/respiratory-therapy. BLOOMINGTON – On Saturday, November 5, Ivy Tech Community College’s Bloomington campus will host two fun and educational events: Super Science Saturday and Manufacturing Day. Super Science Saturday will provide free, fun, hands-on science activities for grades K-12 from 10:00 a.m. to 1:00 p.m. at the Indiana Center for the Life Sciences, located at 501 N. Profile Parkway. Manufacturing Day, held at Ivy Tech Community College from 10:00 a.m. to 2:00 p.m., will provide equipment demonstrations and information about Ivy Tech associate degrees that lead to modern manufacturing careers. Drop-ins are welcomed for both events. Families who attend Super Science Saturday can enjoy 20 booths of hands-on science fun. Among many science-based activities, students can take their pulse with a marshmallow, learn about lava lamps, make a bouncy-ball, see raisins dance, make a “bag of blood,” experience glowing hands, or transform into a bombardier beetle. Manufacturing Day attendees can learn about manufacturing careers, see equipment and technology demonstrations by industry experts, and learn about Ivy Tech technology and computing degrees that lead to modern manufacturing careers. In the areas of technology and computing, Ivy Tech offers associate degrees in Advanced Automation and Robotics Technology, Electrical Engineering Technology, Engineering Technology, Heating Ventilation and Air Conditioning, Industrial Technology, Computer Science, Cyber Security/Information Assurance, Database Management and Administration, Informatics, Information Technology Support, Server Administration, Software Development, and Network Infrastructure. Manufacturing Day visitors can also watch the 11th annual Robotics Contest, hosted by Ivy Tech and the Bloomington Robotics Club. More than 120 middle and high school students will compete this year, representing 31 teams from 12 schools from nine Indiana counties. For questions about Super Science Saturday, call (812) 330-6047 or email sarnold@ivytech.edu. For questions about Manufacturing Day, call (812) 330-6050 or email kbarnes@ivytech.edu.